Prime Minister Zoran Zaev urged citizens to watch the TV duel with Hristijan Mickoski within Kanal 5’s “Samo vistina” show on Tuesday. He said it was hard to debate with the leader of VMRO-DPMNE because he is ‘irresponsible’. Tough, irresponsible, does not help the state over very important matters. I understand that the opposition should be critical, but it should also be realistic and responsible. 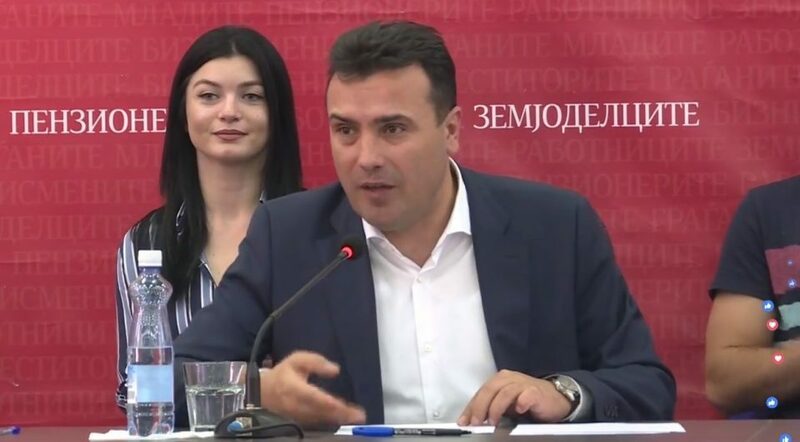 I was 21 months in opposition – Zaev said on Monday, answering a journalist question at a Kumanovo debate dubbed “Fair Society – a Chance for All”. It will be the second face-off between the two political leaders, following last year’s on the national broadcaster. He urged young people not to wait to be employed in the public administration because they will lose their creative strength. The EU monitoring of comes, institutions are coming that will bring order. Young people should not be looking for jobs in public administration, because they can lose their creativity, Zaev said. He added that it is necessary to develop the private sector, not to force the public one, because such in the long-term the state cannot be developed in that way. We have 70 million euros in the budget for the support for the economy. Of those, 12 are for financial support and 13 for attracting investments, the prime minister said. He added that he was thinking about the idea that the state should pay contributions for workers if employers increase their salary for 100 euros.